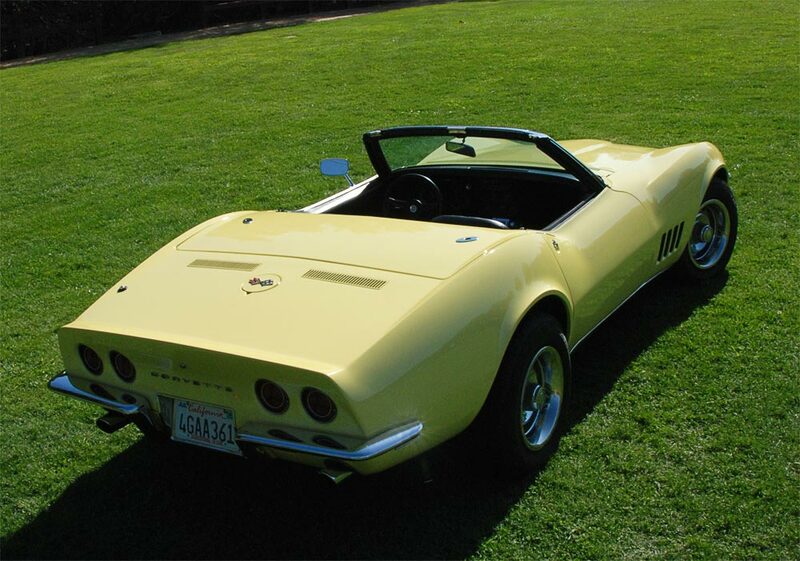 While it is true that the shopping for a classic Corvette is great fun, the intention is to someday own a Corvette, meaning that by definition, the fun has to end. For me, the good times ended on June 8, 2011 at approximately 12:30 PM. I found the winning candidate in a Craigs List ad (right). 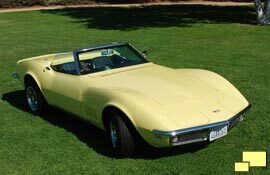 There was not much to go on, a claimed $15,000 recently spent, four speed Safari Yellow 1968 with a small block engine. And a very competitive price of $21,500. The owner responded to my email inquiry with a phone call. 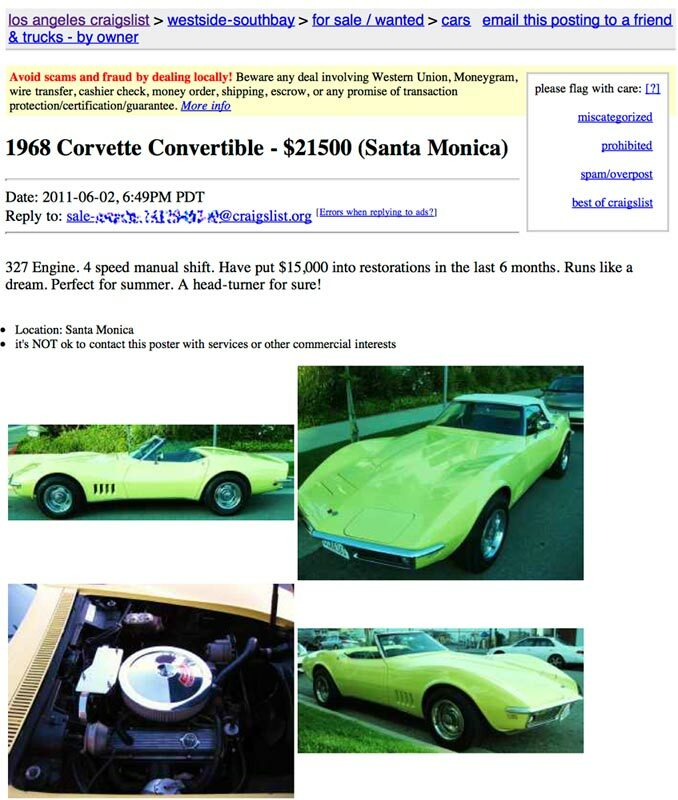 It appeared to be a stripped down Corvette, no A/C, no power brakes and manual steering. The last item caused me to pause and think. The steering would be tough, sort of like a work out in the gym but without a shower nearby. The owner said he had got a lot of calls (believable at that price point) and that he would start showing it Wednesday at 11:30 and would sell to the first person who could pay for it. I knew that appearing to be eager is not a good buying strategy but I did not want to risk a good deal going to somebody else who was smart enough to be there first. The Safari Yellow was a color I had always liked. To me, yellow is always a good choice for a performance car as it had a lot of the characteristics of red but is not as common. The Safari Yellow flavor, one year only for 1968 (3,133 produced) was very pale separating it from the more common yellows that were typically more aggressive with their high contrast content. The engine had been replaced sometime in the life of the car. 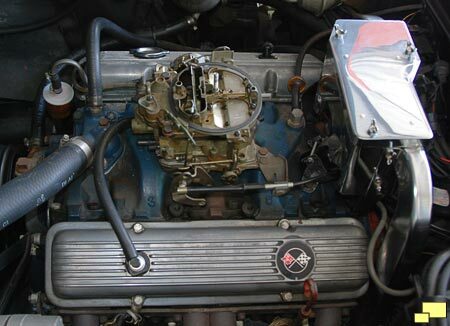 Although still a small block, it may be a 350 cubic inch instead of 327 cubic inches which was installed at the factory. Headers had been installed. This was most likely because there was an exhaust manifold problem of some type and the easiest / cheapest solution was an aftermarket header installation. The problem here is that they do not last long and would need replacement in the future. Below: The EMI shield was installed and intact except for the area near the spark plugs - which would not be possible with the performance header installation. The LT-1 style valve covers were a nice, although incorrect, touch. 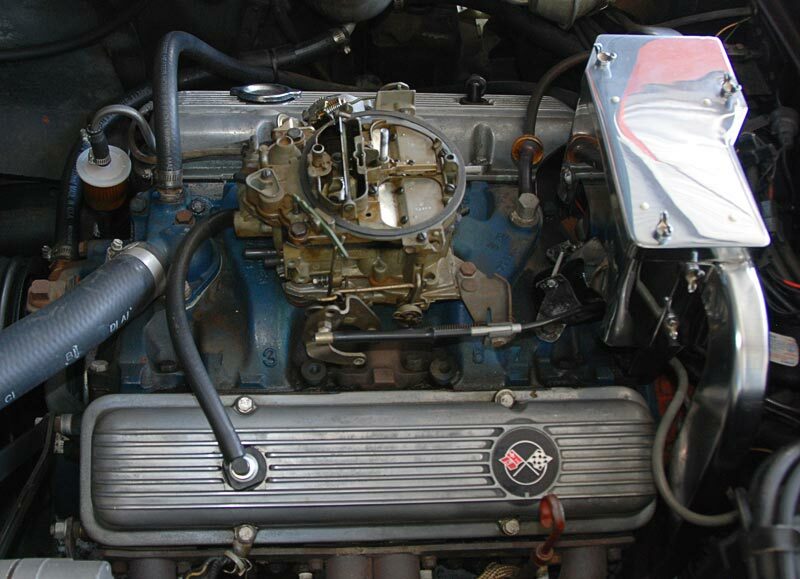 The correct valve covers for 1968 were stamped steel, chromed in the case of the 327 cu in / 350 hp; with stamped steel and painted the engine color or cast aluminum for the other engines. The car had a repaint which was a good quality job, with the chrome and other critical parts removed as part of the process. There were about three small gouges here and there along with some scratches in the tonneau. Still the paint presented itself well and was similar to the work from the St. Louis MO factory. 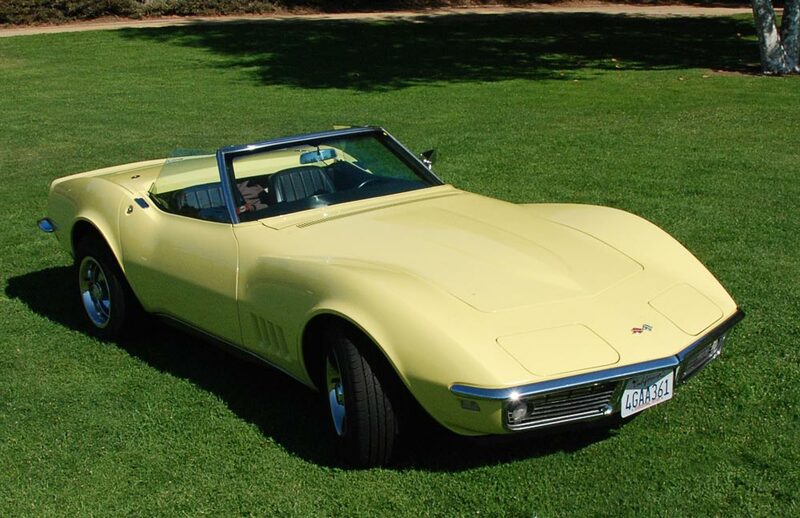 The painter did not attempt to remove the waviness or correct other defects that were found on all 1968 Corvettes, which I thought of as a good thing. I took some time to take a close look at the body by crouching down so my eyes were level to the body midpoint. 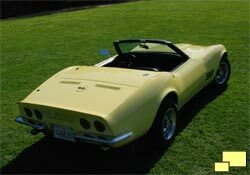 1968 Corvettes had particularly bad build quality with waviness in the surface and fiberglass strands visible. There did not seem to be any sign of accident repair which would be readily apparent given the lack of surface smoothness. The chrome on the bumpers was OK, pretty good in the front with signs of pitting only with close inspection. The right rear bumper had more pitting with the left rear in worse shape with obvious pitting. Not a real drawback as rechroming is not a huge effort. Lifting the fuel door revealed a gas cap in the center of the opening, another sign that this Corvette had not suffered major accident damage. The clock did not work, a common malady of Corvettes of this vintage. Sweet! I bought this car [just like it] new, sight unseen, Friday, October 13 of 1967, from Brigance Chevrolet in Chicago. Friday the 13th and it was raining. Virtually NO gas in the tank. Miserable weather. Serial number in panel on dash had #1106 in it. It is so darned plain compared with today's models! Mine had no bells and whistles except auto, a/c, red line tires, white top. I loved it. Paid $4250. Sounds like a great car Marty! Do you still have it? The car that is. Being October 1967 it would be an early car, mine is quite late. What color?